Liza: We bought the sign at Target. It was in the dollar bins when you went into the store. My husband and I just could not resist since our 4 year old was on a whining kick at the time. Elaine: I am not holding my breath, but it was fun to see how long it took people visiting to notice the sign. Renee: Oh I know it does not stop after 4. It just get more tuned at that age and continues from then on. 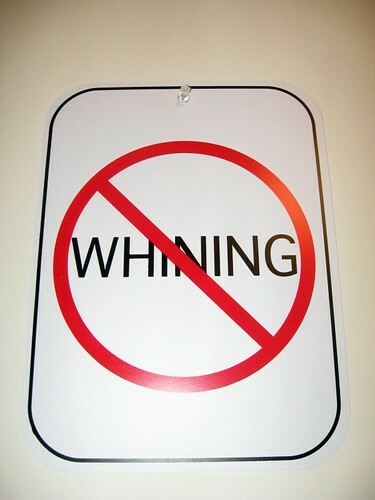 I taught middle school girls and know all too well from whining! I actually told JL that I wanted another sign to put away for my next classroom when I go back.